Today you will learn in this post to make pro rat trojan. Using which you will be able to hack the whole victim computer including all the Facebook, twitter and other email id's saved passwords. Seems interesting so lets start! 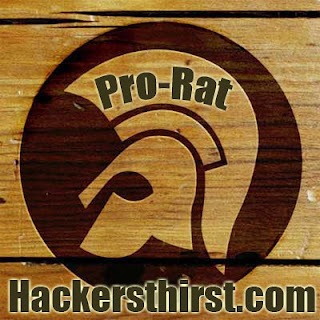 What Is Pro Rat Trojan ? 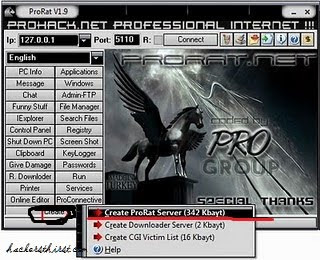 In short,Pro rat trojan is the type of trojan which uses it's spying ability to spy in your victims computer and let you control it. Now we will PING on our host to check whether our host ip has been associated with the chosen server or not. It is the good question . Ping is a program that sends a series of packets over a network or the Internet to a specific computer in order to generate a response from that computer. The other computer responds with an acknowledgment that it received the packets. Ping was created to verify whether a specific computer on a network or the Internet exists and is connected. ,press enter and it would reply with your ip . 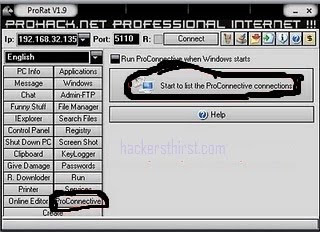 After ensuring it that you have been connected to chosen server move to the folder where you have installed the pro rat and open pro rat.exe . A window will pop out , now refer to the photo given bellow . Click on creat and then click on create pro rat server as given . Now for a window will open and will take necessary information refer to another photo given bellow . 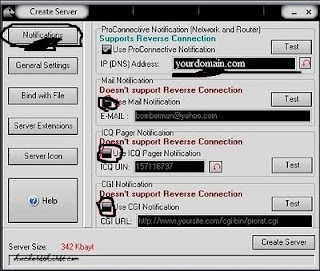 After filling the options click on Create Server and your server would be ready to give out to your victim . Attach it to the file or directly give it to your victim . I left it on you. Note: You can use many social engineering tricks to send the file to the victim. You may also ask the victim to turn of antivirus its a new game. Later I shall post about how to hide your server from antivirus. Thus you can do lots of things using it. You can log all the keys pressed by victim, can take screen shots of his pc. And Much more. Only way to safe your computer from trojan is to keep your computer up to date with the antivirus and use AVG, Norton antivirus or our free NOD . There is the best way install process explorer which let you see trojans in your computer and to reverse them .